Many active adult communities are located along or near golf courses. Until about a decade ago, a retirement home near a golf course was a prime piece of real estate. In fact, it was almost a guarantee of rising property values and return on investment. In recent years, however, The Washington Post and other media outlets have reported a steady decline in the luxury golf community market, with Golf magazine declaring that "the gilded age of golf course design is dead." A perfect storm of overbuilding, an economic downturn and a decrease in the number of people who play the sport has put nearly 2,000 of the nation's 16,000 golf courses in jeopardy and made homebuyers, and real estate developers, more cautious. 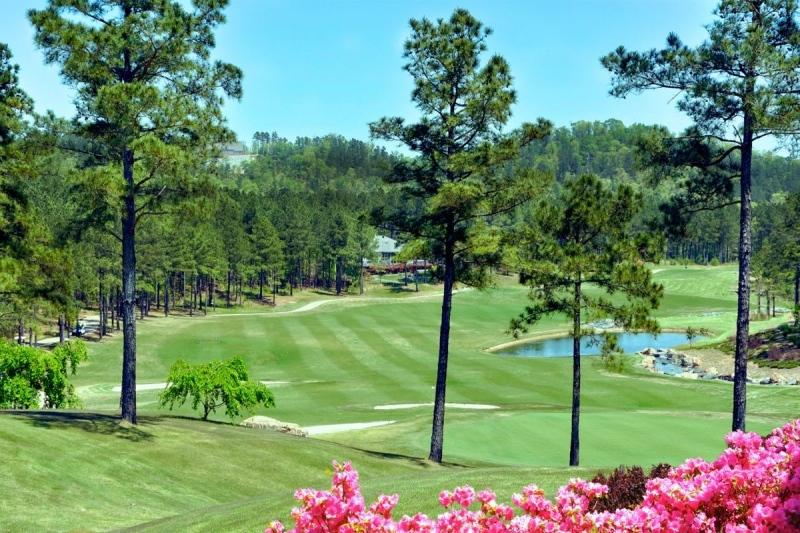 The good news is that the industry appears to be on the upswing again — homebuilders and course owners are starting to redevelop golf communities to appeal to a wider demographic — and it's currently a buyer's market. So let's say you've done your research, you're aware of the risks and you're ready to search for a home near a golf course. What other pros and cons should you consider? The primary appeal of living near a golf course is the view from your backyard: gently rolling greens, clusters of mature trees, ponds, lakes and fountains, as well as an occasional wildlife sighting. However, that view comes at a price. Pesticides and fertilizer runoff, in addition to the large volumes of water used for irrigation, are harmful to the environment and in some cases can put area homeowners at risk. But just as developers are rethinking golf course design these days, they're also starting to employ more sustainable maintenance and management practices, a trend that is likely to continue as course owners are also finding that it's cost effective. Bordering a golf course means not having to look at other people's houses behind yours. On the other hand, depending on where your house is situated, it may get pelted with golf balls and invaded by golfers tramping through your yard to find them. What's more, the real estate covenants of most golf communities give homeowners very little recourse for broken windows and trespassing. One way to avoid this is to consider the home's location along the fairway before buying. Homes on the right side nearest to the tee are at the highest risk for property damage and uninvited guests, while other areas around the course see fewer such nuisances. While a golf course may be quiet at night, landscaping begins bright and early around sunrise, so you may have to put up with the din of lawn mowers early in the morning. The same is true of passing golf carts, and, depending on how close you live to a tee or one of the holes, you may also hear some choice language drifting in through your windows. This can also be prevented before you buy — a good home inspector will watch for these kinds of issues, and you should also ask neighbors about the noise or any other potential problems. The homes within a golf course community are often bound by strict real estate covenants. While beautifully maintained homes along a manicured course can certainly enhance property values, you should read the fine print ahead of time. There may be rules against putting up nets or limits on construction, for example. Or, if you purchase a home near a golf course assuming that you'll be able to just walk on with your golf clubs in tow, your HOA bylaws may not allow you to do this. As with any real estate purchase, buying near a golf course comes with risks and rewards. The bottom line is to keep that old "buyer beware" adage in mind and do your homework before signing on the dotted line.